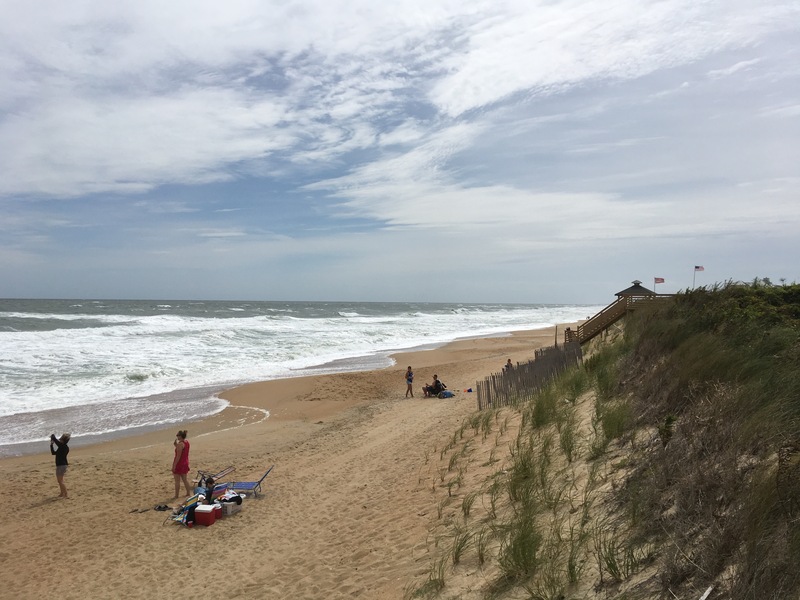 Though, here on North Carolina’s outer banks, we’ve seen only the outermost edge of Irma’s effect, a lesson has been learned. 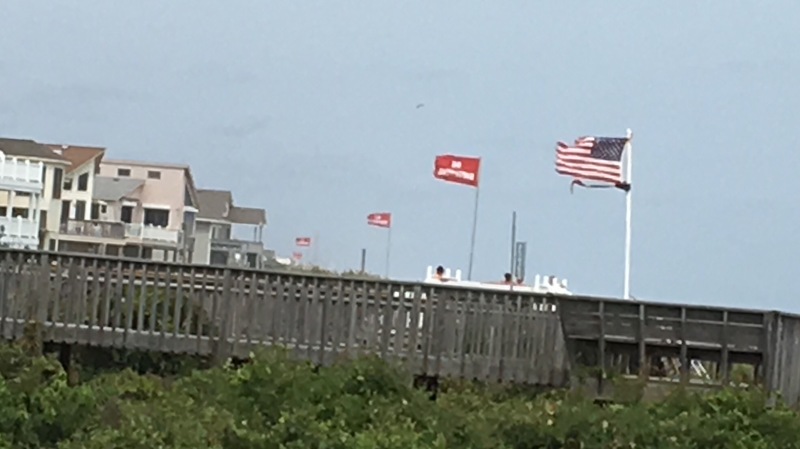 Old Glory and the red flags that prohibit swimming were straining in the steady wind. The beach was not quite abandoned, but almost so because the wind made sitting or playing uncomfortable. 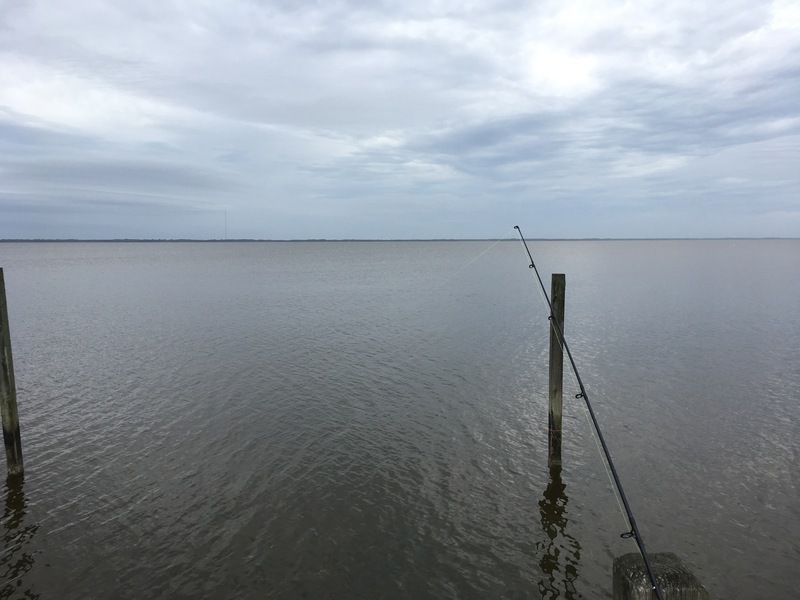 Thus, I realized the importance of these naturally occurring barrier islands. They form a kind of shield for the shore across the sound. We need barriers, boundaries and shields as we walk this journey as pupils of Jesus. The shield of faith, of course, comes to mind. The waves and wind of life will come; we need that shield. But to lift and hold a shield takes training. Thus we must train our hearts and minds daily to look to He who is our shield! Then, as we’ve made looking to Him second nature, when storms rage, we’re ready. With our aim at Him, not the struggle, He will guide us through to the calmer waters.